Rarely if ever has the world encountered a more precocious musical talent than that of Erich Wolfgang Korngold. Compared in his youth to Mozart and Mendelssohn, he enjoyed immensely successful and well-publicized premieres of his work while still in his early teens, being championed by musicians such as Artur Nikisch, Felix von Weingartner, Artur Schnabel, and Richard Strauss. Success followed success, and in 1920, at the age of 23, his masterpiece Die Tote Stadt was premiered in Hamburg and Cologne. The Piano Quintet Op. 15 (SCMS performance July 7) was written a year later. 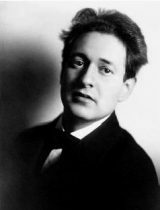 Korngold had his first taste of career disappointment in 1927 with the premiere of his opera Das Wunder der Heliane, at which point the Viennese public showed the first signs of having moved on from his late-romantic musical language. As music became more tonally progressive and experimental, Korngold stayed true to himself, writing music that seemed more from the past than of the present. 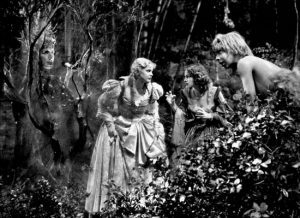 In 1934, Korngold wrote his first film score for Max Reinhardt’s film adaptation of A Midsummer Night’s Dream. Shortly thereafter, he signed an exclusive contract with Warner Brothers, eventually winning two Oscars for his film scores. 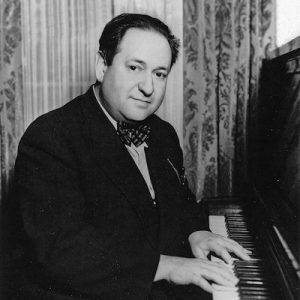 As a Jew, Korngold’s world was crumbling around him, and in 1938 Korngold and his family moved to the United States. He vowed to write no more concert music until Hitler was removed from power. When Korngold returned to Europe in 1949, musical tastes had changed. Despite an initial success with his Symphonic Serenade Op. 39, critics were unmoved and subsequent performances were poorly attended. In his absence, the European musical community had moved on. When Korngold died in Hollywood in 1957 at the age of 60, he believed himself forgotten. For the next 40 years, he was little more than a musical footnote, occasionally remembered through his film scores, a few arias, and the violin concerto. The last two decades have seen a renaissance of Korngold’s music, and a return to fame for one of the 20th century’s great musical geniuses. Korngold’s music, for me, has an irresistible appeal. It is ambitious, yet not overblown. It is harmonically lush and beautiful, but also chromatic and piquant. And the often extreme virtuosity required of the players always seems to come from the composer’s joy in his own ability as a performer (he was a marvelous pianist, as evidenced from several extant recordings). It is music that moves me, but also leaves me feeling optimistic and uplifted. The three-movement Piano Quintet is a highly charged, virtuosic, and overwhelmingly positive piece. The optimistic first movement alternates between extroverted romanticism and the introspective beauty, and revels in its instrumental complexity. The 2nd movement is a glorious set of nine variations on themes from his song cycle of 1920, Songs of Farewell, with the third song, Moon, thou riseth again, being the main inspiration. The finale opens with severe, declamatory cadenza material, before giving way to a jocular rondo theme. The coda brings back material from the beginning of the piece and brings the work to a rousing conclusion. I hope you will join us for the SCMS premiere of Korngold’s Piano Quintet on July 7. It is sure to be one of the highlights of the summer!